Almost three months after starting the limited field testing of Google+, Google has finally thrown the door open for everyone to join. During its three month of field testing, users could join Google+ only through invitation from someone who is already in. They occasionally opened the door but usually closes it quickly. This time though, Google has officially announced that Google+ has now moved from field testing to beta - and has opened it to everyone who wants to join, regardless of whether they have an invitation or not. If you have not yet signed up for Google+, you can click on the link below to sign up. Vic Gundotra, Senior Vice President of Engineering at Google, described the opening up of Google+ as its 100th feature. He also noted that it does not mean that they believe Google+ is done. For the past 12 weeks we’ve been in field trial, and during that time we’ve listened and learned a great deal. We’re nowhere near done, but with the improvements we’ve made so far we’re ready to move from field trial to beta, and introduce our 100th feature: open signups. Google has also announced a lot of new features for Google+ which are beginning to roll out. One huge feature that they are rolling out is hangout on phone. As I have mentioned before, Hangout is one the best features of Google+. Now, Google is bringing this feature to Google+ Android app. It is not yet supported in the iOS app yet - but it is arriving soon. Hangout is also getting new features like screen sharing, sketchpad etc. Google has also added the option to broadcast hangouts. Although not everyone can join, they can watch the broadcasted hangout. This feature is currently limited to only a few users. And true to their root, Google is bringing search into Google+. 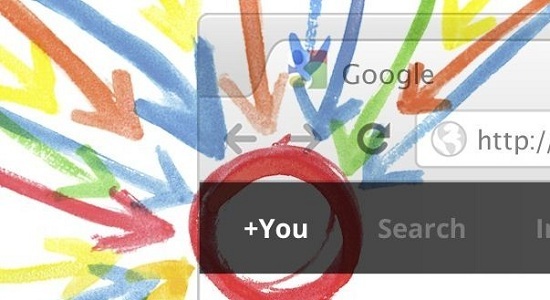 Google+ searches will now return the relevant people, posts and contents from the web.